Flowerhorn have two unique characteristics, their vibrant coloration and the giant nuchal humps on their heads, which breeders call Koks. Some breeders love to brighten the fish’s colors while some love to get the Nuchal hump to grow as big as possible even massive. The Flowerhorn’s Kok is kind of their crown and they’re the king of the aquarium. Generally, not every fish has the genetics to get a nuchal hump of massive size. But of course, there are ways to maximize the fishes potential and we’ve got those covered in this article. Before implementing these suggestions, always remember that some specimens do not have the genes to grow a large nuchal hump. What You Feed The Flowerhorn Affects Its Growth. Of course, the same dietary rules that apply to humans also apply to Flowerhorns… We are what we eat. For a Flowerhorn to grow healthy, foods that contain high protein levels are important. There are a variety of fish foods on the market that contains high amounts of protein. One of them is Grand Sumo Flowerhorn and Cichlid Food, which is extremely popular in the hobby. Krill and Shrimp are also some of the foods which have shown to help increase the size of the nuchal hump. The water quality inside the tank plays a gigantic part in the health of the fish. When feeling your fish do not neglect to remove leftover foodstuff that will contaminate your water in a hurry. Carrying buckets every week can become draining after a while, so we suggest using a product like the Python water changing kit to make water changes a little bit more convenient. To maintain water quality, clean the tank by changing the 30% of the water every week. However, if you are keeping large quantities of fish or don’t have adequate filtration in the tank, it might be more appropriate to change 30% of the water two times a week. Another important tip in water changing that hobbyist sometimes neglect is testing their water. I know I know it gets annoying but it won’t hurt to test your water’s parameters every so often maybe 1 every other month. The recommended pH level of the tank is 7.5. This is generally enough for the Flowerhorn to adapt. Any drastic changes in temperature and acidity can result in water conditions not conducive to fish growth. Neglected water conditions might cause sickness, death and delayed development to your Flowerhorn’s nuchal hump. Wider Longer Tanks Produce Larger Fish. When a fish in confined in a small space, they tend to only grow to a size which the tank allows them to. If a Flowerhorn is packed into a small tank, it will affect its growth. Limited amounts of space and exercise stunt its growth which also prevents the nuchal hump from reaching its full size. A tank at least three feet in length is deemed ideal for a single adult Flowerhorn to thrive. Don’t put a Flowerhorn in any aquarium less than 55 gallons! 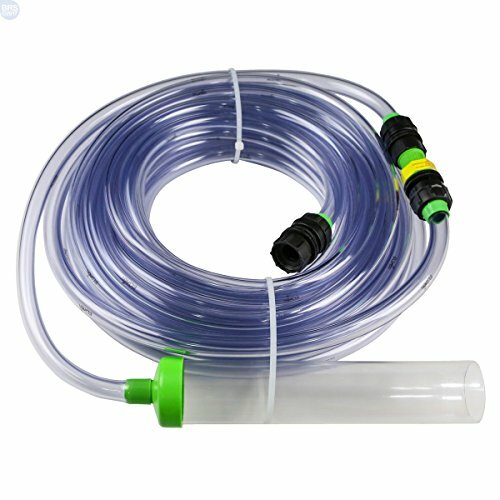 If you are in need of a new aquarium and have a limited budget check out the following kit. LARGE ENVIRONMENT: Larger environments can house more fish or a greater variety of fish. 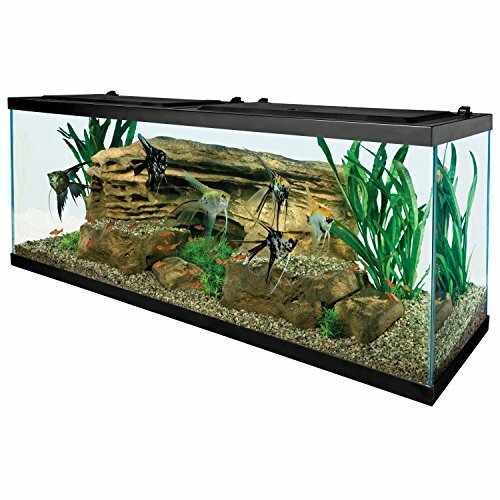 KIT INCLUDES: one 55 gallon tank, EasyBalance Plus, TetraMin, AquaSafe, 6" fish net, 200W heater, WPF 60 Filter, Stick on digital thermometer, 24" Tetra hinged hood x 2, 2 plant multipacks and a boxwood plant, TetraCare brochure and instruction sheet. LED LIGHTING: Included lighting adds the natural daylight effect to your aquarium, giving you illuminated viewing of the entire space. However a few words of caution! I would buy the largest aquarium I could afford or had space for at my house within reason. If you could comfortably get a 125-gallon aquarium then I would do it. When you love fish you easily run out of space to keep them all so get a LARGE AQUARIUM. Flowerhorns with big Kok(pause) are just cooler and they will often be more aggressive and dominant. Nuchal hump size is often attributed to aggressiveness. If this is true you want your fish to display as much aggression as possible without being harmed and actually getting into a fight. Now how will you simulate a fight for your Flowerhorn? One trick is to get a mirror and station it in your aquarium upon seeing its’ reflection your fish should start going ballistic. Let your fish think that he is fighting another male fish. Do this exercise a few times a week and remove the mirror at other times this will make him feel that he defeated the other fish. From my experience with aggressive fish the dominant fish will typically display the best color and grow the largest because it isn’t afraid to eat. Hope you enjoyed this info! Now go ahead and grow large nuchal humps on your fish!